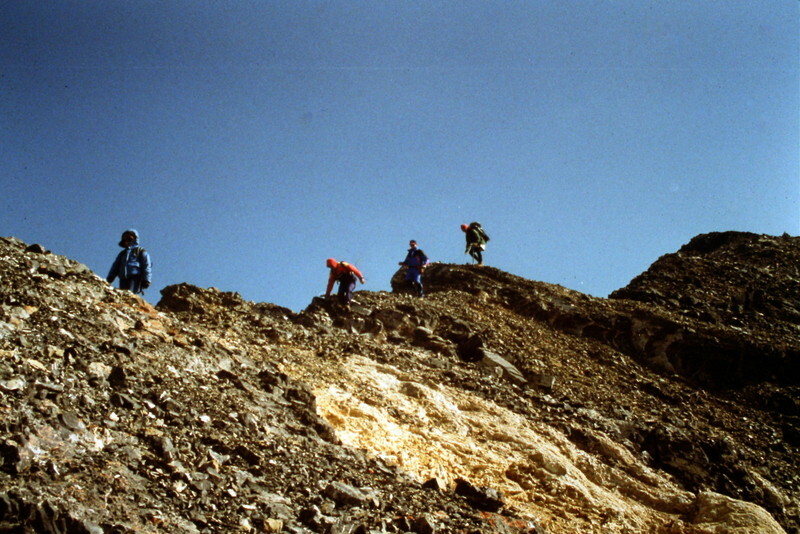 Climbing information for Mount Brietenbach is found on pages 278, 280 and 281 of the Climbing Guide. 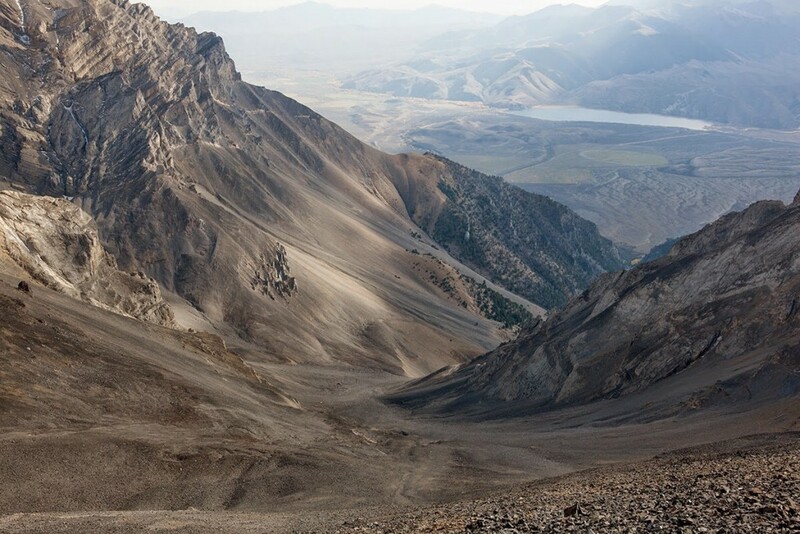 Also, see Wes Collin’s article on The Lost River Traverse in the Climbing History section. 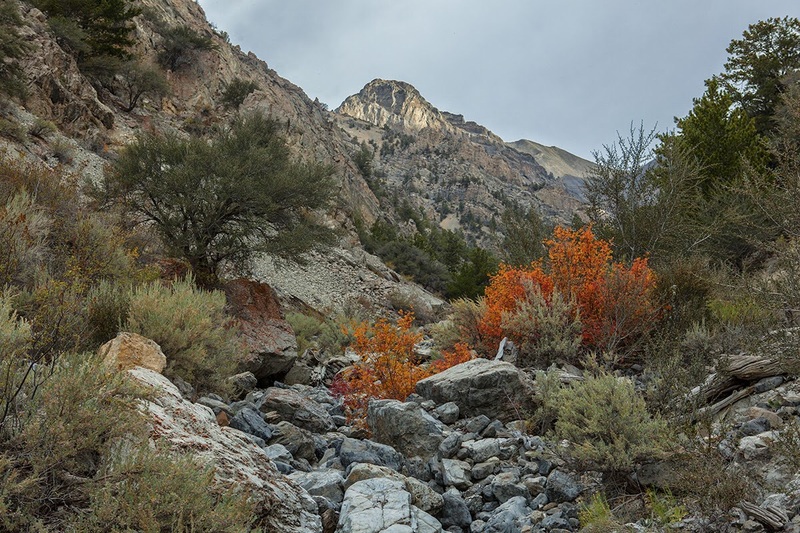 Mount Brietenbach is located in the Lost River Mountain Range in the Challis National Forest. One of the nine Idaho 12ers, Mount Brietenbach is Idaho’s 5th tallest summit. It’s a toss up between this 12er and Mount Borah as to which peak possesses the most impressive north face. While Borah’s north face hangs on to its snow and ice and sees more ascents, in my opinion, Brietenbach wins the north face competition. Read about the north Face at this link: Mount Breitenbach’s North Face – North East Ridge and First Ascent. This page has additional information and photos about Breitenbach’s South Ridge route, its standard approach, as well as information on a West Face approach to the summit. Links to additional information are provided following the photo essays. Mount Breitenbach and Pete Creek drainage, as seen from the west. 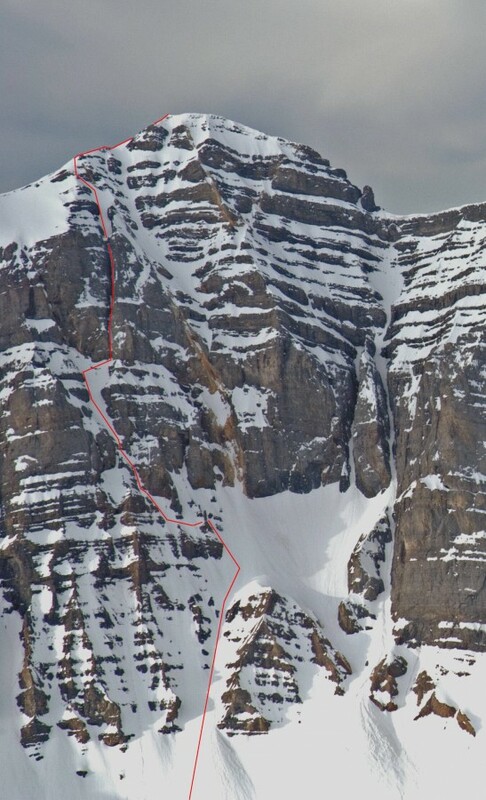 The south ridge route described in the book has better footing than you might think from viewing the following photographs. 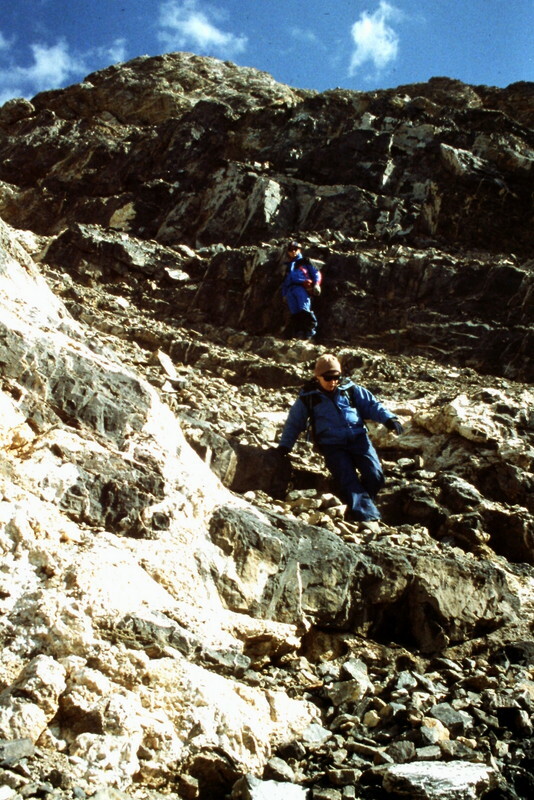 Still, there is enough talus to make it an arduous climb when the snow is completely gone. 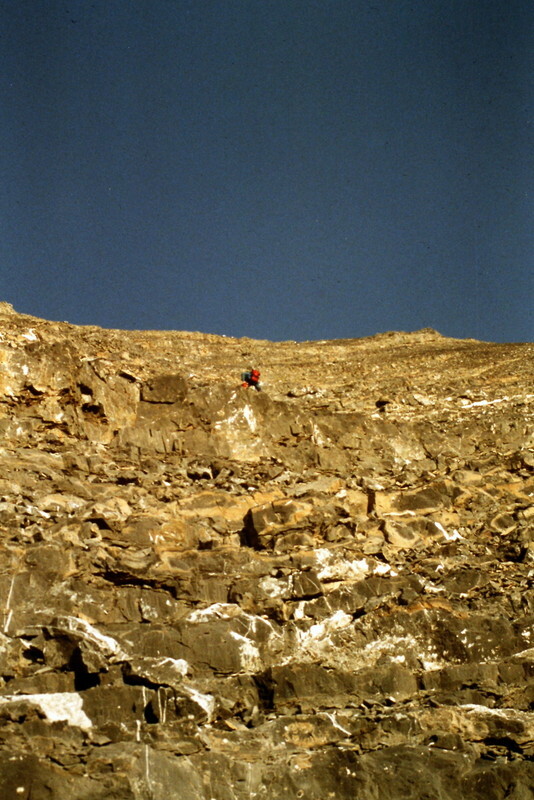 Mount Brietenbach is most often climbed via its south ridge. 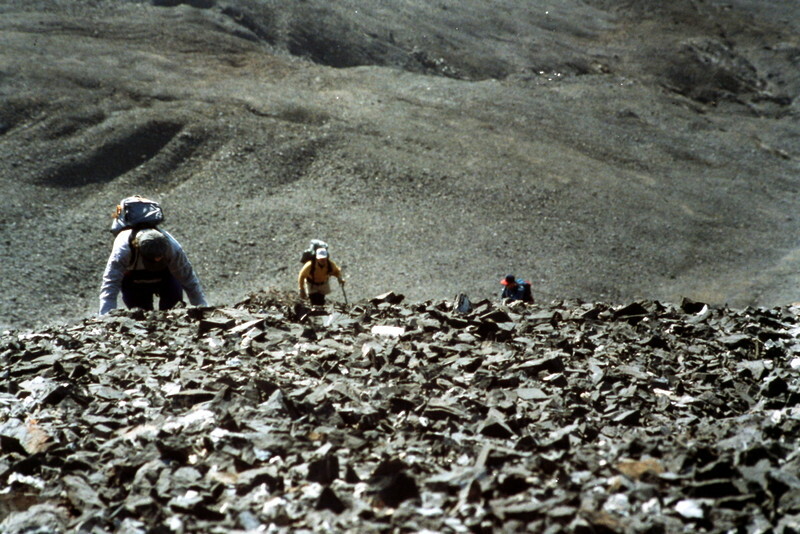 The approach up Pete Creek is straight forward and gives relatively quick access to the rubble-covered slope that leads to the ridge. Moving along the ridge near the summit. I have only descended this route, and while it is not too difficult technically, the rotten rock and long walk up Jones Creek make it much harder than the South Ridge Route. 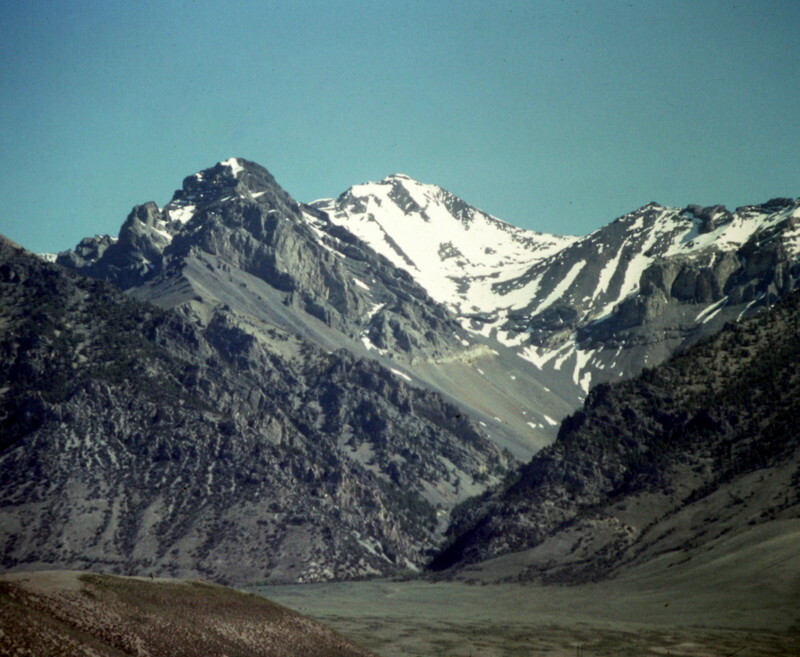 The west face of Mount Brietenbach viewed from the upper reaches of Jones Creek. 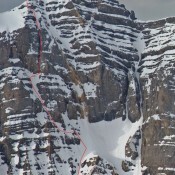 Two climbers descending the lower face. There are a number of cliffs to skirt around on this route and enough lose rock to trip any climber up. 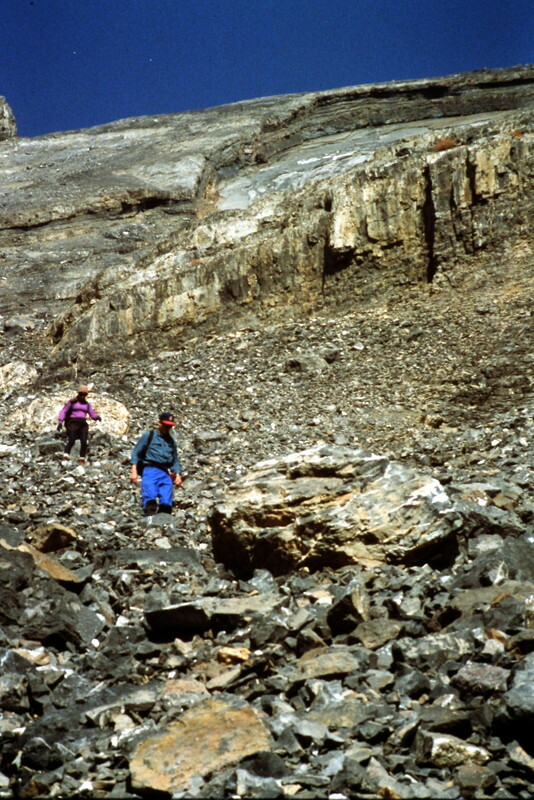 The actual crux may be a series of cliffs lower down in Jones Creek. I’ve ascended Jones Creek three time. 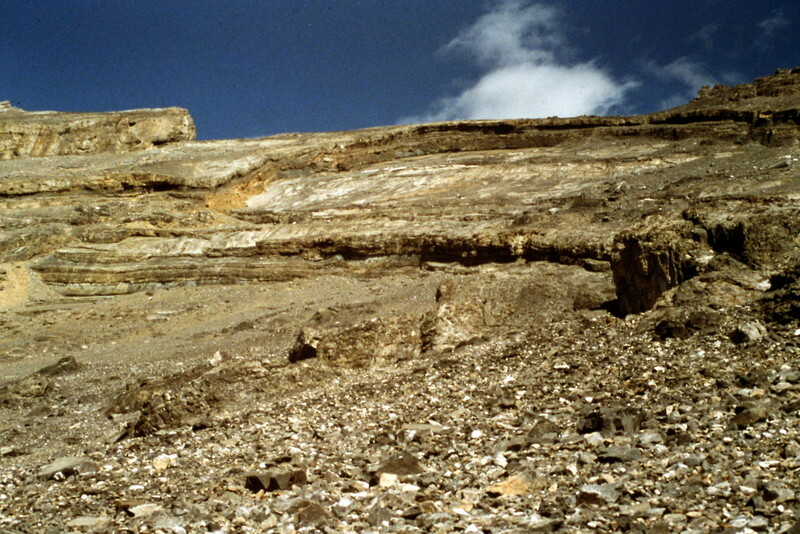 It is constantly changing terrain full of rubble. Mount Breitenbach’s North Face – North East Ridge and First Ascent. 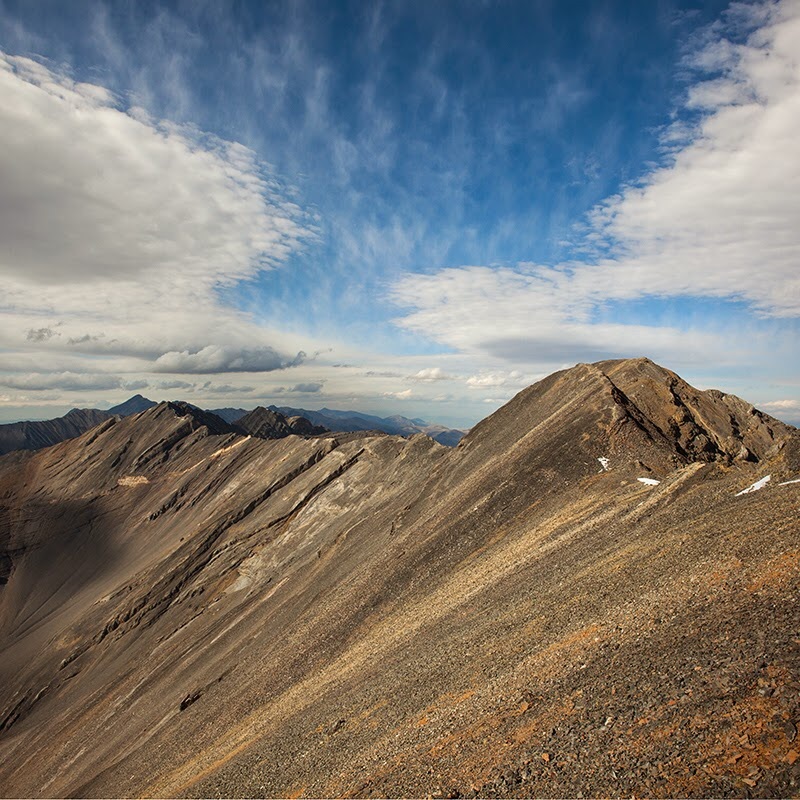 Larry Prescott’s Trip Report, with outstanding photography of the South Ridge route and surrounding peaks. March 13, 2015, Winter Ascent of the South Ridge Route: Eric Newell’s Photo Essay. 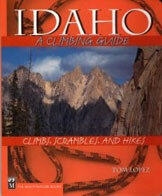 Return to the main Idaho 12ers page. Party: Bob Boyles, Mike Weber and Curtis Olson.